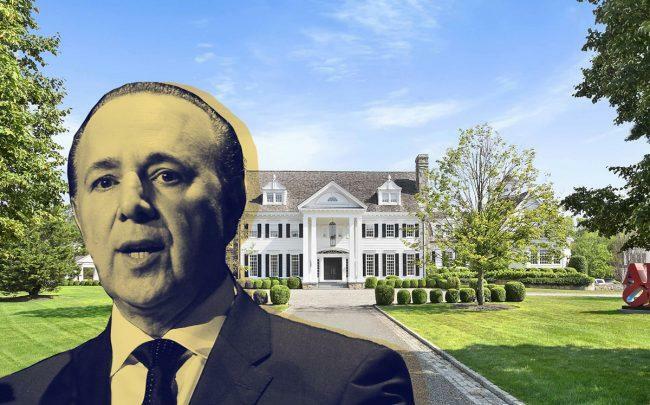 Legendary music executive Tommy Mottola had to face the market’s music with the sale of his Connecticut mansion. The former CEO and chairman of Sony Music sold his gargantuan Greenwich estate for $14.9 million, 25 percent below the asking price. Mottola originally listed the nine-bedroom home for $19.95 million in 2017, the Wall Street Journal reported. Mottola and his wife, Mexican pop star Thalia, had been living there for several years at the time. They spent about three years designing and building the house. Compass’ Robin Kencel and Brian Milton represented Mottola. Sotheby’s International Realty’s Steve Archino represented the anonymous buyer. Though he didn’t get the price he had been seeking, Motolla did well on his investment. He purchased the 5.7-acre estate at 33 John Street for $2.85 million in 2010. The mansion spans over 12,000 square feet and features a great room with a stone fireplace, a gym, a play room, a beauty salon and a massage room. It also has an outdoor swimming pool and a carriage house that’s been used as a recording studio. The sale comes as the Greenwich market has cooled. According to a 2018 fourth-quarter report from Douglas Elliman, average sales prices were down nearly 19 percent year over year, to $2.3 million, while total sales dipped 2.2 percent from a year earlier. Brokers have said that demand for over-the-top homes has slowed, with extravagant properties generally requiring price cuts to sell.